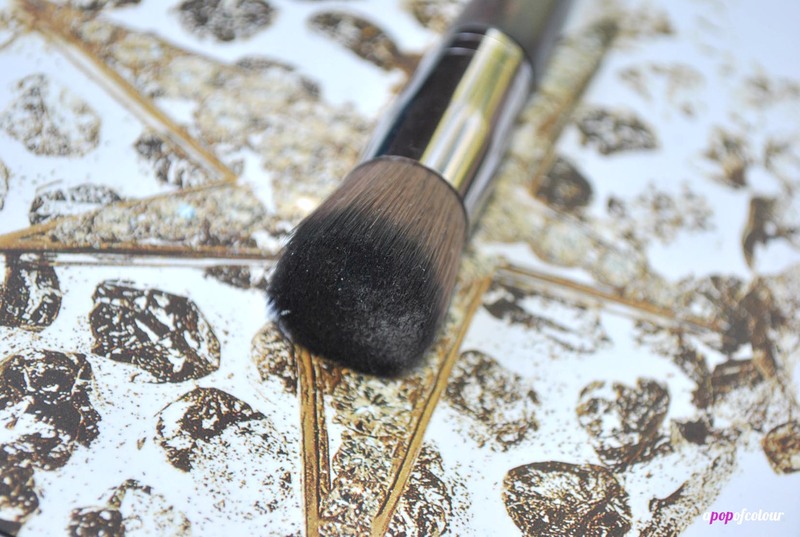 A set of essential tools in anyone’s makeup collection is a must have, so when Make Up For Ever announced that they were releasing 76 brushes as part of their Artisan Brush Collection, I was salivating at the thought of these wonders. The set ranges from everyday must haves to customized tools that the everyday ‘gal doesn’t need, but really wants. What really sets this collection apart is the quality that went into every brush. Each and every tool went through a five-year process that involved testing a variety of synthetic fibers that mimic the silky softness of natural hair. Each brush involved 25 unique stages and was hand-crafted by a total of 30 people from start to finish. My favourite part is the beech wood brush handles that were created with a beveled end to allow for easier product retrieval and can even used used in false lashes application (amazing, I know). I got to try out the 154 brush (Buffer Blush Brush), which is an extra-dense round brush with a flat top. 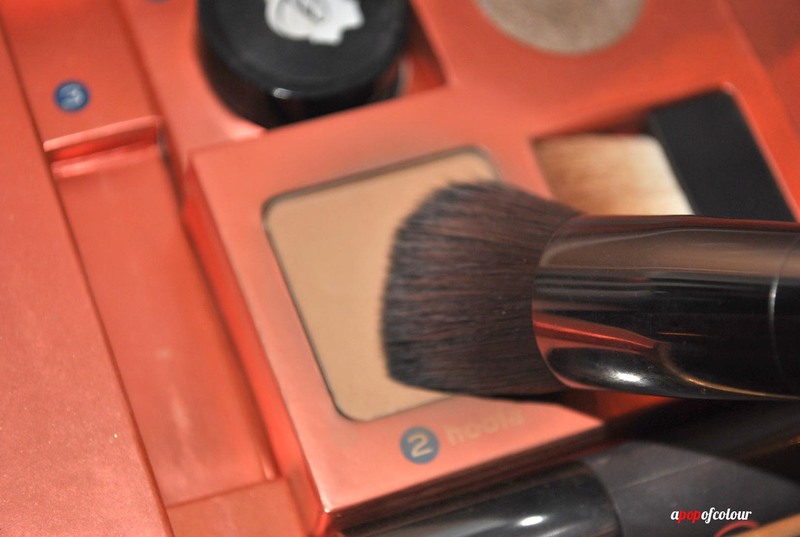 Make Up For Ever recommends using this brush for loose and compact powders, however, I think it’s fab for applying powder bronzer for contouring. Because of it’s small, compacted shape, this brush allows me to get right into the hollows of my cheekbones, for a perfectly sculpted look. I also have used it with cream products on my cheeks for a natural-looking flush (it blends like a dream). These brushes will be available at Sephora and Make Up For Ever boutiques. Because of the amount of craftsmanship that goes into each and every one, expect them to be pricey. 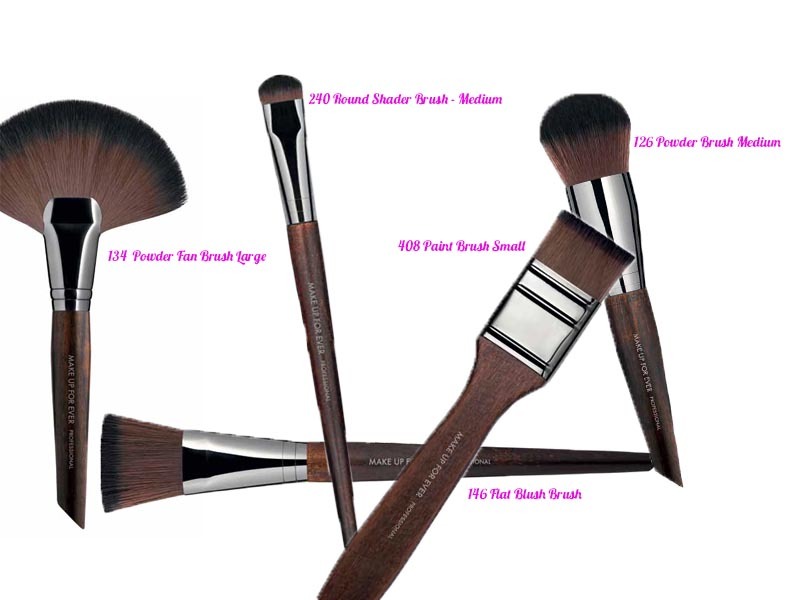 Here’s my wishlist of the brushes I would love to get my hands on. 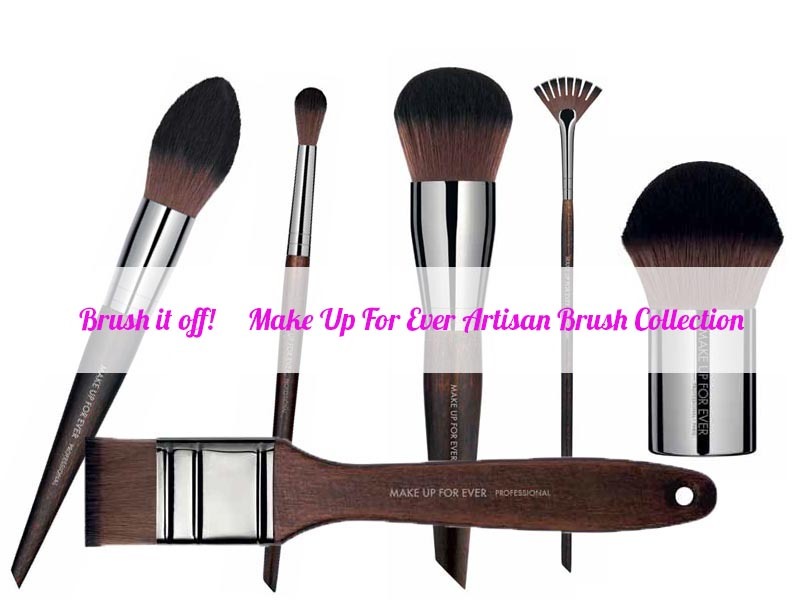 Are you going to pick up any brushes from Make Up For Ever’s new Artisan Brush Collection? Please note, I was sent this product by PR. All opinions are my honest own. It’s more for makeup artists (which I’m not). You use it for foundation or face paint.. it’s definitely not something I would ever need but it’s so cool I just want it haha.